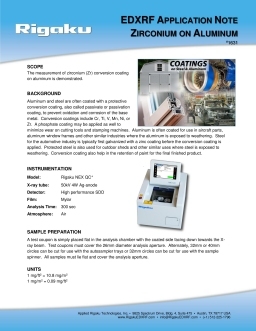 EDXRF | XRF for Metallic Coatings - Applied Rigaku Technologies, Inc.
Metallizing is the general name for the technique of coating metal on the surface of objects. Metallic coatings may be decorative, protective or functional. Energy dispersive X-ray fluorescence (EDXRF) provide rapid analysis of the thickness and composition of single- or multi-element coatings like hot dipped, electroplated, sputtered, ion plated, thermal spray, plasma spray and other conversion coatings. Coating materials must be applied in certain thickness specifications in order to express the desired characteristics. Metals that are either over- or under-coated will not perform as expected. Over-coating also wastes expensive coating material. A variety of coatings can be applied to metal, and the choice of which type of coating to apply is determined by the end use of the metal product. Some types of metal coatings are designed to protect the metal from oxidation or corrosion. In other cases, metal coatings are used to act as lubricants or torque agents. For example, metal screws, bolts, and fasteners are often treated with a metal coating to facilitate installation. X-ray fluorescence technology was originally developed, in part, because the deep X-ray penetration depths enable measurements that cannot be achieved using other methods (like eddy current gauges). The application reach of X-ray based non-destructive testing technology continues to grow because the measurement of coatings and thin films continue to be an ideal, and popular, use of EDXRF. This critical EDXRF-based quality control technology is relied upon in a wide range of facilities - from general plating shops (including plating baths) to aerospace, marine, automotive, and military manufacturing. 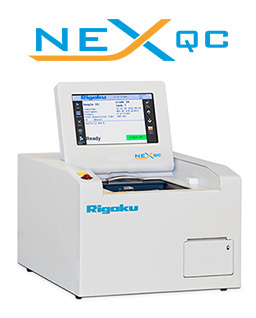 In order to achieve reliable QA/QC, Rigaku offers the NEX QC Series of energy dispersive X-ray fluorescence (EDXRF) analyzers. Simple to operate, the NEX QC Series EDXRFs provides the quality control (QC) technician an ideal tool for quickly checking coating thickness and composition in order to maintain the highest product quality while minimizing costs. The Rigaku NEX LS is a scanning measurement system comprised of an EDXRF measurement head mounted to a motorized frame, which transports the head back and forth across a moving web while transmitting the cross-machine direction (CD) measurements to a control box and industrial touch screen computer. Data are presented in real time as cross web and down web graphical profiles. 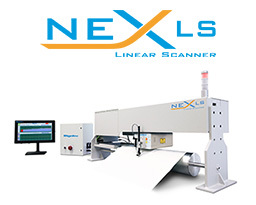 Featuring advanced 3rd generation energy dispersive X-ray fluorescence (EDXRF) technology, the Rigaku NEX LS represents the next evolution of scanning process silicone coatings analyzers for web applications.